Get Payroll and Workers' Comp Insurance for Less! Get PEO Leasing Quotes Today. 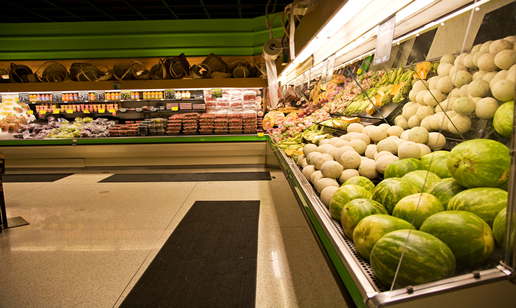 How Can Grocery Stores Benefit from a PEO Service? A PEO, also known as an employee leasing company, allows you to outsource employment administrative work for less than you can do on your own, giving you more time to focus on growth opportunities. Tasks such as payroll and tax filings, safety services, unemployment claims hearings and more. Critical, important work that must be done correctly, but also work that doesn't generate income for your business. Pay-As-You-Go Workers' Compensation Insurance. Savings up to 40% compared with traditional plans, with no audits and no money down. Complete Payroll Management. All 941 quarterly and 940 annual tax reporting, free direct deposit, pay-cards, unemployment claims assistance and much more are included. Access to a Human Resource Team. Take the guess work out of hiring and firing procedures, employment-related laws and compliance issues and much more without the costs of hiring a full-time expert. Why choose ELQ to find the right PEO for you? We make it simple - by giving you proposals that deliver the benefits you need. We quickly filter through hundreds of PEO employee leasing companies to access proposals that fulfill your Grocery store's business needs. You'll get the services you want, at the best possible price – we guarantee it! So, whether you need lower workers' compensation insurance rates or better employee benefits to help retain good employees, use our industry knowledge to deliver a solution that makes an immediate impact. Our success depends on yours, so give us call.